By incorporating these interactive classroom prevention lesson plans into your existing curricula, you’re exhibiting a commitment to keep our youth healthy and tobacco-free. The Tobacco Use Prevention Service is appreciative and proud of dedicated teachers like you who work hard every day to educate our youth. 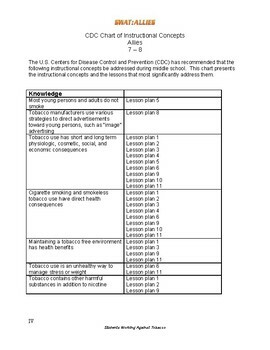 These grade specific lesson plans will teach students about the physical and social consequences of tobacco use, decision-making, problem solving and refusal skills, which will help them resist pressure to use tobacco. 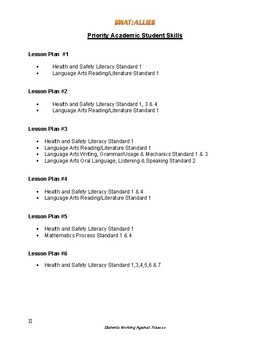 The materials are designed for student participation and each lesson’s objectives meet the Priority Academic Student Skills core and integrated standards in several areas. 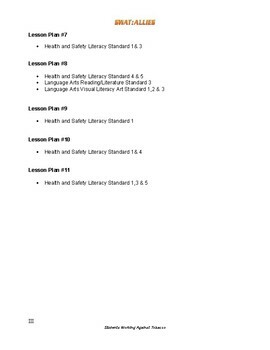 Therefore, you can use these lesson plans while teaching various subject areas and at the same time strengthen your students’ resistance to using tobacco.